Situated in northern Europe is the incredible nation of Finland. This country, which is home to over 5.4 million residents, is best known for the north’s breath-takingly natural landscapes and the south’s contrasting contemporary cities. Top attractions include the Fortress of Suomenlinna (Helsinki), the Pyynikki Park and Observation Tower (Tampere), and Aboa Vetus & Ars Nova (Turku). Prepare for a thrilling adventure in this part of Europe, because cheap flights to Finland are now available for a limited time! The capital, Helsinki, is the home of Helsinki Airport (HEL), a 35-minute drive or a scenic 30-minute train ride from the city centre. 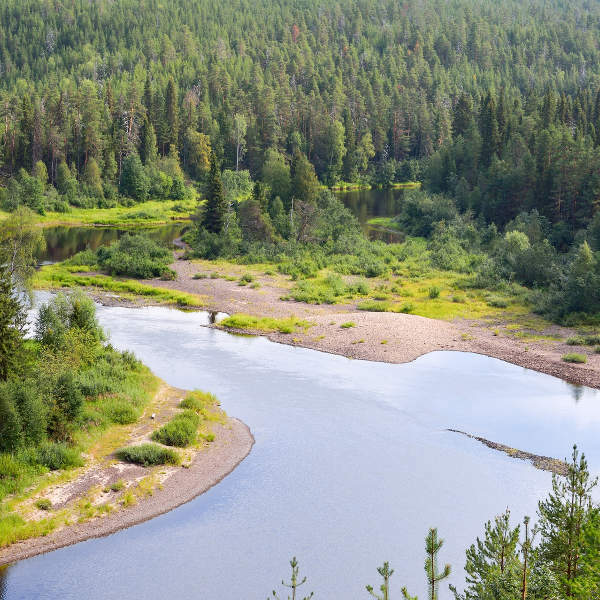 Rejuvenate your senses at one of the many gorgeous national parks, forests and islands in and around Finland. These include the Koli National Park, Oulanka National Park, the Village of Saramo and Kilpisjärvi. Explore the variety of architectural achievements in Finland that reflect this nation’s history, going back as far as the 13th century. Among the most famous buildings, you can discover Finlandia Hall (Helsinki) and the Turku Castle. 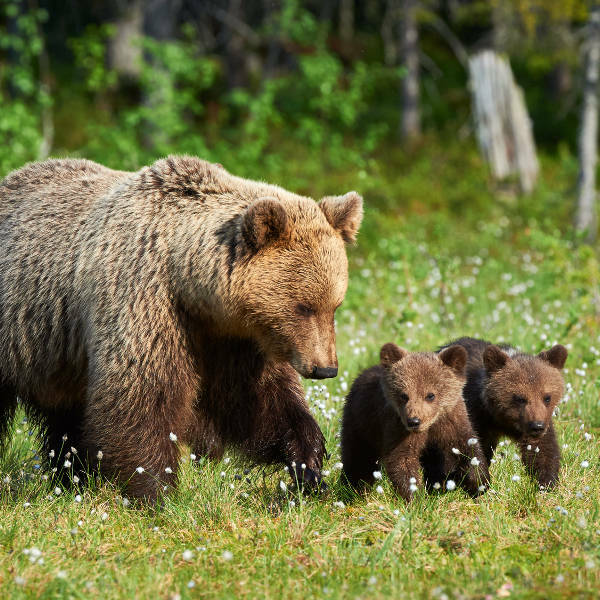 Spending time exploring the hiking trails that run through the breath-taking natural landscapes will give you the chance to spot the indigenous wildlife, including the Finnish forest reindeer, and endangered species like brown bears and Eurasian wolves. The most popular time to visit Finland is during summer (June – August). Temperatures around this time are comfortable, rarely rising above 20°C. Make sure you book accommodation well in advance to ensure you get the best options and be prepared for higher hotel rates and crowded attractions. The highlight of the summer is the Midnight Sun, a natural phenomenon which sees the sun shining for 24 hours (if the weather is fair)! For cheaper hotel rates and the thrilling opportunity for snow-related activities, visit Finland during winter (November – early-April). While it can get as cold as -10°C, this is the perfect time to go skiing, snowmobiling, ice diving, and building up a sweat in a rural sauna before finding some relief in the chilly waters of one of the many lakes. This season is additionally the best time to spot the aurora borealis (northern lights) in the beautiful Lapland region of Finland. The north European country of Finland offers a one-of-a-kind holiday experience. 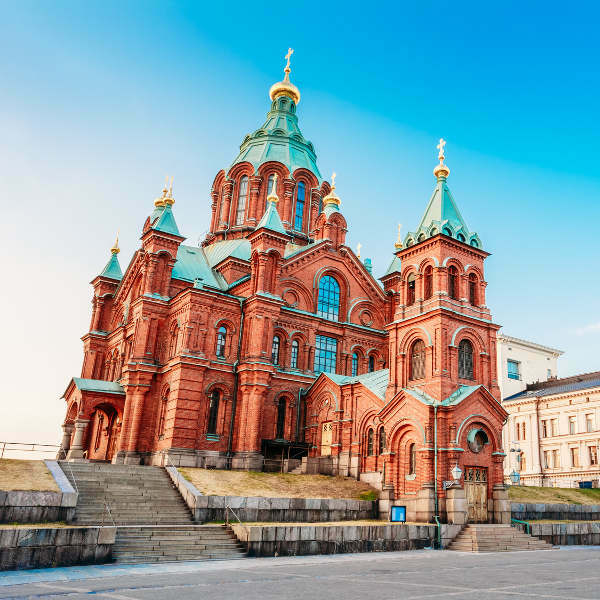 This is a tourist destination that’s characterised by contrasts, with some of the most gorgeous natural landscapes in the world and future-oriented cities, such as the capital, Helsinki. Get ready to witness breath-taking untouched forests, stunning northern light displays and experience the creative culture of Finland. Helsinki, situated on the coast of the Baltic Sea, offers you the chance to immerse yourself in a thriving urban centre. Explore the streets and admire world-class styling, with contemporary and magnificent architecture; experience the capital’s vibrant music scene; or relax at one of the many island restaurants and trendy bars. Major attractions in Helsinki include Rock Church, Seurasaari Island and Open-Air Museum and The Esplanadi Park. When you find yourself in Turku, discover the historic castle and cathedral that reflect this destination’s time as the previous capital of Finland. Thanks to the lively university population, you can enjoy avant-garde art, energetic festivals and an animated nightlife. This city’s top sights are Luostarinmaki Handicrafts Museum and Kupittaa Park. Tampere, sitting between the two huge Näsijärvi and Pyhäjärvi Lakes, provides you with a scenic holiday setting. This is further enhanced with the city’s low-key atmosphere, which is home to former industrial buildings that now contain eclectic museums, alluring stores, appealing cinemas and charming cafés and pubs. Make sure to visit the Vapriikin Museokeskus and Sarkanniemi Theme Park. Compare several airlines and book your cheap flights to Finland online at Travelstart! Finland has an exceptionally low crime rate. Pickpocketing is a problem, however, especially during the busy summer months. With some cities like Turku including a significant student population, be careful when going out for a drink at night. It’s common for Finnish residents to maintain a standard of politeness, so antagonising a drunk customer is guaranteed to end in a fight. The police in Finland enjoy a reputation for honesty and respect. If you do find yourself questioned by the police, simply remain calm. Should you be arrested, attempting to bribe an officer will only make your situation worse. Before you leave for Finland, make sure to get all the routine vaccinations. Check with your doctor for more information. Other diseases you may need to guard against include hepatitis A, hepatitis B and rabies.